Jazz Band Hire. Whatever your event, if you want some happy, infectious live music, the Mississippi Swamp Dogs are here to help. Wander through the streets of New Orleans and you will hear the widest variety of music possible. Southern Rock mingles with Funk. There is Jazz and Blues. Soul music and Gospel music are closely linked. You hear both in New Orleans and the Deep South. The Swamp Dogs have taken this rich Gumbo of musical styles from the Southern States and present them for your pleasure. High quality serious fun! 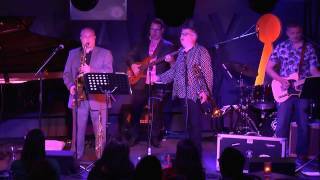 To get an idea of the energy and the joyous talent of this great jazz band, check out some of our great Videos below. 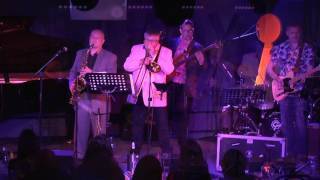 Jazz Band Hire: for Corporate Events, Hospitality and Entertainment. Do you want a jazz band for your company event? Maybe at Henley? Wimbledon or Ascot? A company fun day or a store promotion? The Swamp Dogs are aware they’re representing your company and brand. They are great communicators with superb soft skills, great company and totally professional. Contact us to see how we can help with your corporate event. 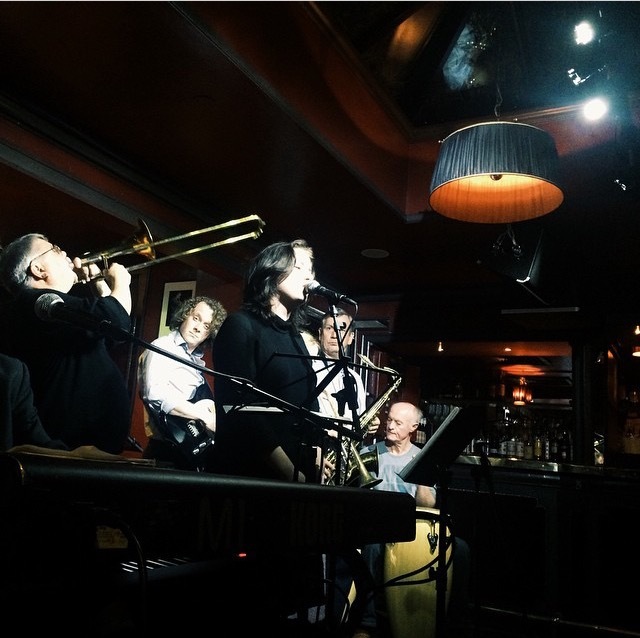 Hiring a jazz band should be an easy and pleasant part of organising your event. We will do everything we can to help you in choosing the right band playing the right type of jazz. With many years experience you can be confident that the advice we give will be based on having performed in many varied corporate hospitality environments. Swing band hire is perfect for a Vegas themed night! Do you want to see some five star reviews from happy clients? Click on the link!! You can hire our jazz band for club nights. 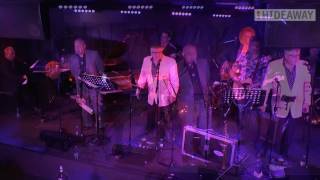 Here are the band at one of their sell out shows at Ronnie Scott’s Jazz Club. 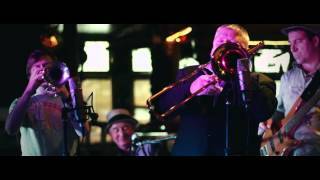 When the Mississippi Swamp Dogs New Orleans Jazz Band hit the floor with all guns blazing, your customers are in for a treat! This high energy show will get everyone up on the floor. The Swamp Dogs are a great Bar Band, and when people are having fun, they spend money! Highly recommended!! Communication was outstanding when booking and organising the sets for the evening, setup was smooth and entirely unobtrusive and the performance was simply exceptional. 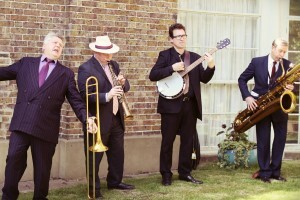 The Mississippi Swamp Dogs took our 1920s Jazz Band Summer Speakeasy Ball to another level. From charming reception music early on, to a full-on roof blowing experience into the dark hours, the Swamp Dogs truly delivered on every level. A big thanks to Jeff and the Guys for not only packing the dance floor throughout the evening, but also taking the time to socialise with some of our hard-core jazz enthusiasts between sets. I have been inundated with plaudits and requests for repeat performances since the evening – we will certainly be booking again and again. I certainly cannot confess to being a wordsmith but I hope it summarises our gratitude. For whatever scenario you require lively, happy music for The Mississippi Swamp Dogs will deliver! Do you want a Great Gatsby Jazz Band ? Others describe it as a Prohibition Jazz Band, some call it a 1920s jazz band) if so, we can help. Maybe you require sophisticated swing or a riotous party band! We do this. For all your Jazz Band requirements we have the right combination of musicians for your needs. Don’t forget, we are a London Jazz Band for Hire, but we also offer Jazz band hire in Oxford, Jazz Band hire Kent, Jazz band hire in Brighton, Chelsea and Hampton Court flower Show Jazz Band hire, Jazz band hire London, Jazz Band hire London, Speakeasy Jazz Band hire in fact all types of jazz and swing band hire. Remember, when you are going to hire a jazz band you need to ask yourself quite a few questions. They have a bearing on what kind of jazz band you need. How much space do you have for the band? Is your event indoors or outdoors, or both? Will the jazz band reflect on you and or your brand (corporate clients)? Do you want people to dance to the jazz band? What kind of jazz do you want your band to play? Want some tips on hiring a band for Xmas? 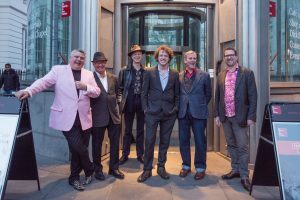 Are there any quirks to London jazz band hire? Jazz Band hire cost ? The above questions will help define your band. Certainly the size of the band, the quality of the band and the ability of the jazz band to be flexible. 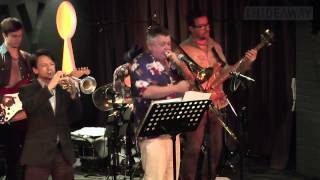 There are amazing jazz bands all over London and beyond who can play specific types of jazz incredibly well. That is of no use to you if, at some point, you want the band to turn into a party band playing soul classics. These are issues you need to take up with your band in advance. You do not want to find out on the night that your jazz group has no suitable repertoire for dancing if that is important to you. My recommendation is to go and see the band play, see how they interact with their audiences, see how varied their repertoire is and see how sympathetic they are to the room they are in. Are they playing suitable songs for the gig? Are they of the right quality? Does the jazz band play at the right sound level? Are they too loud, too quiet? Are they polite to their audience? I think all these questions are important ones when considering hiring a band. Our public dates are here, come along to one of our public gigs. We look forward to meeting you and talking to you about your event. Although the Mississippi Swamp Dogs are known firstly as a New Orleans Jazz Band, they have a wide and varied repertoire of swing band classics, soul, 20s Jazz Band, and Dixieland jazz. If you are looking for jazz bands for hire then we can reassure you that you can book with confidence. As a New Orleans Jazz Band the Swamp Dogs have few equals. Do check our public performance page and come and see for yourselves! If you require a jazz band for hire and need more information you can contact us here or at the top of the page. We happy to discuss your needs and event in person. With that in mind we invite you to phone us on 020 8761 8932 or 07747 801471. Remember, we are based in London. The band is a professional outfit serving London, the South East and works just about anywhere. That said, we are one of the most popular jazz bands in London and perform regularly on the London live music circuit. We know that to hire a jazz band is a big financial part of any event or party and is a decision not to be taken lightly. That is why we always try and get potential clients to see the band before booking. We want you to be as confident about booking us, as we are about doing a great job for you! Hire Jazz with confidence here, and hire jazz in London, knowing you are getting World class musicians. Costs are worked out on where the party takes place, how big a band you want to hire, what day of the week your event is and how much music you require. We have jazz bands to hire for all manner of events. Tell us what your event is and we will happily point you in the right direction. Something we get asked for time and time again. We have attended numerous funerals up and down the country giving a New Orleans flavour to the proceedings at the deceased’s request. Funerals New Orleans Jazz information is here. Testimonials and Video of the band. In conclusion, if you want to hire a Jazz band we will make a promise to you, that you will receive excellent service and the finest musicians around. They will be great entertainers and will choose the best, and most appropriate repertoire for your event! Jazz Band Hire for in London, Buckinghamshire, Liverpool, Manchester, Knutsford, Cheshire, Essex, Surrey, Sussex, Brighton, Oxford, Reading, Cambridge, Suffolk, Ipswich, Norfolk, East Sussex, The Cotswolds, Wiltshire, Hertfordshire, Hampshire, Bristol and Birmingham. What is important to you? Repertoire? Cost? Sound levels? Ability to travel? Ability to adapt to changing circumstances? A willingness for co operation? Whatever your priorities for jazz band hire can we suggest you contact us on 07747 801471 to discuss any concerns or questions you may have. Were do we go? Everywhere. Kent, Manchester, Bristol, Nottingham, The Cotswolds, Cambridge and Oxford. These are just a few of the places we have supplied stunning live music. Google Business. We are now on Google Business, to find out more of what and when we do it click here to explore us more.